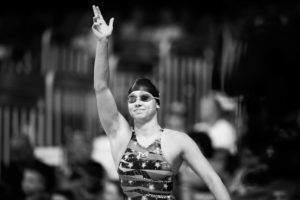 Kelsi Worrell has been the big name for this rising Louisville program. 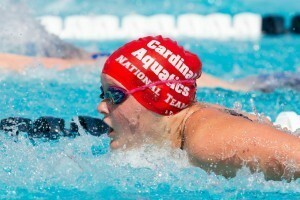 The fastest female butterflier ever in the short course pool was a star in her senior season with the Cardinals, repeating as double butterfly champion at NCAAs and helping Arthur Albiero’s program reach 8th in the country after finishing only 4th at the ACCs. 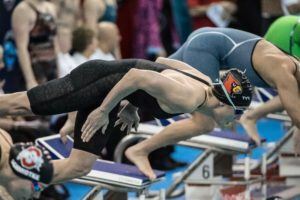 Louisville started to show a little more depth this past season as compared to the several years before, as swimmers like Andrea Cottrell and Mallory Comerford provided vital, elite-level scoring and were imperative on relays. All in all, the Cardinals did a lot with a little, and this program can climb much higher if the depth is there in the future. 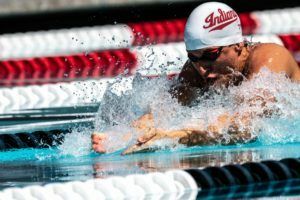 Worrell was a rock on the sprint relays last year, and while the cupboards haven’t exactly been overflowing with sprint talent for the Cardinals of late, there are two exciting things to watch for next season: the freshmen and Mallory Comerford. Newcomers Casey Fanz (22.5/49.5), Avery Braunecker (22.8/49.8), and Jillian Visscher (23.0/49.2) are a substantial shot in the arm for Louisville, and at least one or two of them should find their way onto sprint free relays next season. Butterflier Grace Oglesby is also capable of throwing down strong sprint free times (22.9/50.7). Combine that with rising star Comerford, who was huge on relays and nearly won an individual NCAA title in the 200 free last season, and the sprint ranks are filling out pretty nicely. 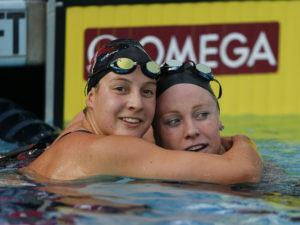 Keep in mind that both Comerford and Worrell came into Louisville slower than the four aforementioned freshmen– talent is certainly being honed with the Cardinal program. Comerford is able to put up a great split on the 800 free relay, and she’s certainly capable of repeating her top 8 NCAA finish in the 500 next season. Other than her, however, the Louisville distance ranks are pretty thin– there are no pure milers ready to make things happen in the elite sphere of the NCAA. 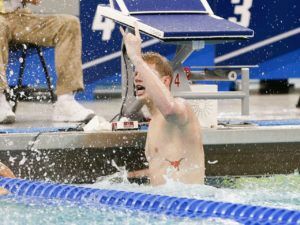 While distance isn’t a top priority for most any college program in the sprint-oriented NCAA, Louisville doesn’t have any distance prospects coming in, making this a weak point for the team. Sophomore Rachael Bradford-Feldman was strong in the IM’s last season, especially in the 400. She was well under 4:10 at ACC’s, and while she gained time at NCAA’s and was unable to final, she has national-level scoring potential in that race. 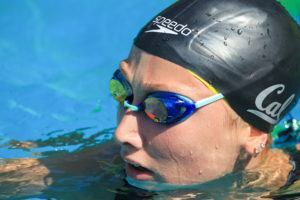 Cottrell and backstroker Alina Kendzior are solid in the 200 IM, but this is another area where the Cardinals need depth, particularly pure IM’ers like Bradford-Feldman. There’s certainly no replacing Worrell. Nevertheless, freshman Grace Oglesby is a talent to watch. One of the best female high school butterfliers ever, Oglesby can sprint and extend fly all the way to the 200, and will immediately fill in on medley relays. Individually, she has the times to at least make NCAA B finals in both fly races, with what looks like a stronger shot at the A final in the 100. 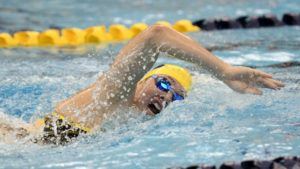 Comerford’s secondary stroke happens to be butterfly, and she’s a strong option to throw in at dual meets to shake up the lineups if need be. Alina Kendzior was able to hold things down for backstroke last year, and freshman Hannah Whiteley should make things competitive on those medley relays. The pair will also be dependable conference scorers, though NCAA scoring might not be in the cards yet for either. Louisville doesn’t have the talent here to match most of the teams ahead of them in the NCAA, but Whiteley is a huge depth boost for the Cardinals here nonetheless to join Kendzior. 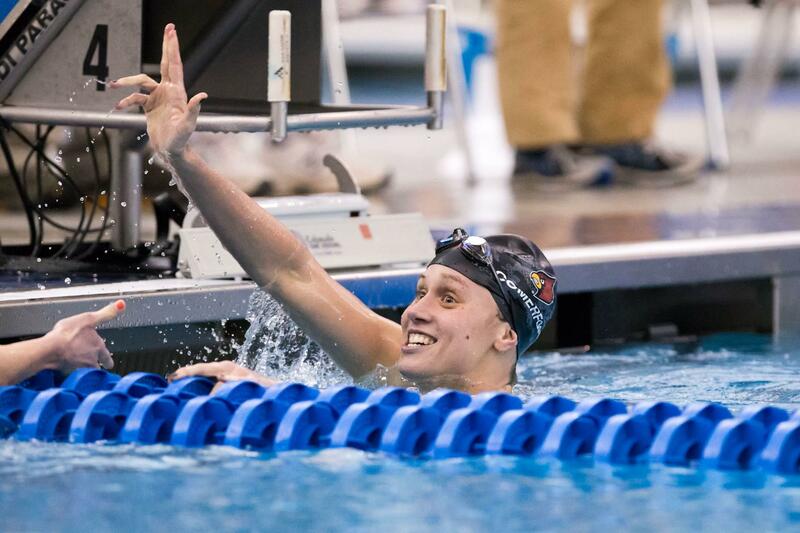 It seems like so many college teams are always lacking elite breaststrokers, but that’s not the case with Louisville. Andrea Cottrell is one of the best sprint breaststrokers in America, and as a senior, her role as a team leader will only further strengthen medley relays. Cottrell is also going to be shooting for a top 3 finish in the 100 breast at NCAAs after finishing 6th last year and taking the ACC crown. However, as great as Cottrell may be, two (or three, or more) breaststrokers is always better than one, and Louisville won’t have much of a supporting cast behind her. Louisville has been on the rise for the last few seasons, and Worrell’s departure doesn’t look like it’s going to slow that trend down significantly. While Louisville will be hard-pressed to formulate another star out of nowhere to replace Worrell, they don’t necessarily need to do that. Oglesby should be a competitive flyer to lead the team, and they have names like Comerford and Cottrell to make runs at A final scoring across multiple events at NCAAs this season. 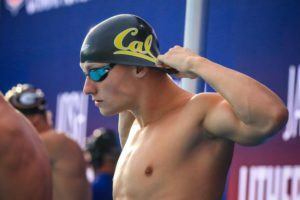 Additionally, their sprint free relays might come back even stronger than last year, and their medleys will also be competitive in A finals at NCAAs. Arthur Albiero has been able to produce top-notch swimming as we’ve seen with the progressions from Worrell and Comerford, in particular, and a sprint-heavy freshman class is going to be great for the Cardinal relays this season.